The high paced corporate way of life deserves a rest every now and then. 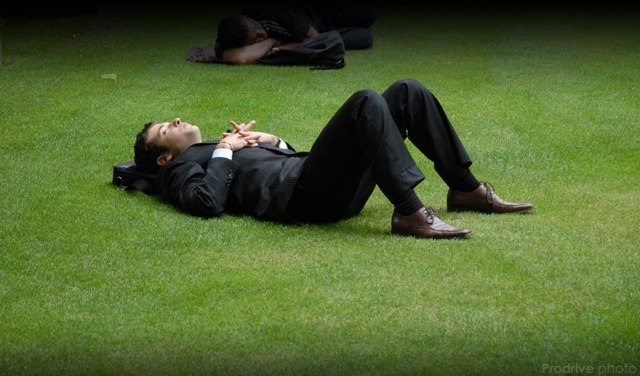 Forget feeble attempts to go to the gym at lunch, find a nice patch of grass and grab some well deserved shut eye. Got a great photo depicting life in the slow lane? Keep it handy. We'll be revealing some exciting news for photography buffs tomorrow. Photo by nuno.prodrive via the Londonist Flickrpool.